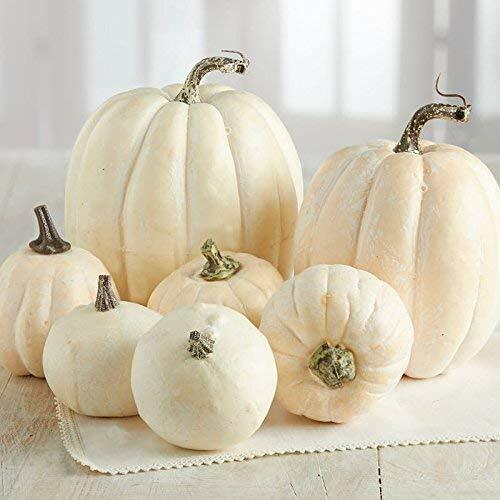 7 DENSE FOAM HARVEST WHITE PUMPKINS & GOURDS are perfect for creating Autumn tablescapes, and centerpieces. They would be perfect in baskets or placed on an fall themed mantle. Their dense foam construction make them lightweight and easy to display.